Situated in the beautiful gated community of Palmilla in La Quinta, this 4296 sq ft (approx) home brings the essence of outdoor living inside. Retractable doors open seamlessly in the living and dining areas opening to the outdoor fireplace and rejuvenating pool with water features and spa. Once in the gourmet kitchen and family room you can also open another set of retractable doors that lead to the outdoor barbecue area and covered veranda. There are 5 bedrooms in this well designed property all with their own baths and voluminous ceiling heights throughout. One of the bedrooms is currently set up as an office with the closet converted to your own private wine storage that opens up to the front courtyard. The private separate guest house also features one of two outdoor spas on the property. 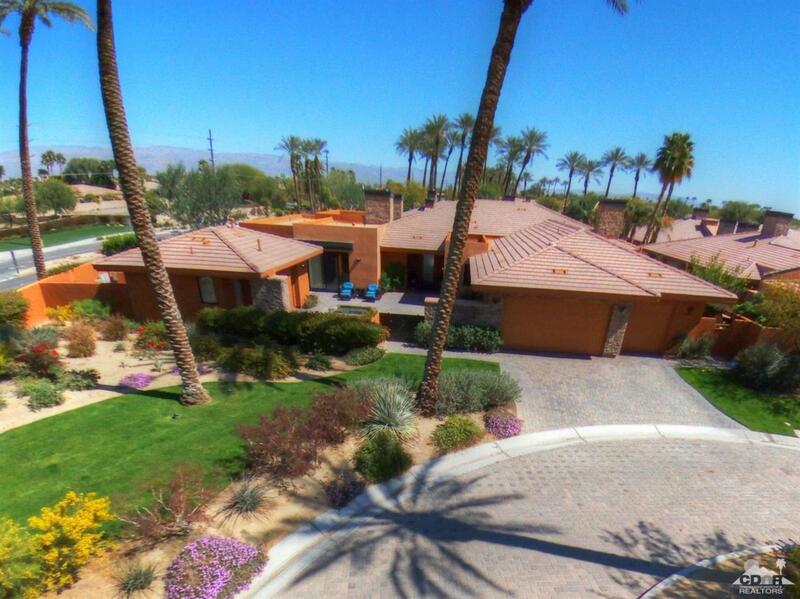 Palmilla is a breathtaking and award winning community in La Quinta with numerous lakes and places to take a stroll. Listing provided courtesy of Dave Bienek of Fathom Realty Group Inc..